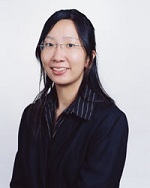 Wendy Kou speaks and writes fluently in Cantonese, Mandarin, and English. Ms. Kou graduated from the University of Calgary with a degree in Psychology, and furthered her education with in Marital and Family Therapy with a specialization in the art therapy modality from Loyola Marymount University in Los Angeles. Ms Kou’s education at LMU has given her a strong foundation to integrate her art backgrounds and to use art processes to provide psychotherapeutic services to clients, including children, adolescents, adults and families. The training fully prepared Ms. Kou to become a practicing marital and family therapist skilled at integrating art processes with a family systems orientation. Ms. Kou has worked in psychiatric hospitals with adults, in residential group homes with abused and neglected children, and in an out-patient agency. Ms. Kou strongly believes art therapy is an effective and powerful way to break through defenses toward therapy. Art therapy can be a particularly effective modality to overcome negative attitudes and beliefs toward therapy. Particularly with children, art therapy allows the expression of feelings and problems which children may have no words to express and which they have never been able to bring forward to others.